We have had two good gardening sessions over the last couple of weeks. The ‘barren strip’ will, we hope, be less barren in future. 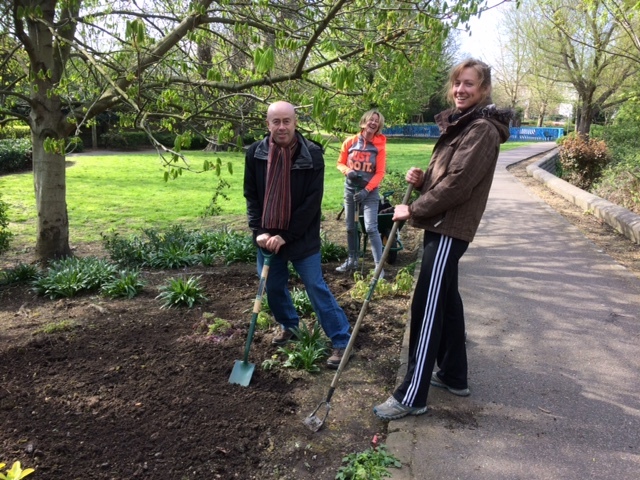 We have cleared weeds from a good section and sown wildflower seeds from Kew’s Grow Wild programme and additional seeds purchased courtesy of Brockley Assembly funding. The mix includes oxeye daisies, common agrimony, yarrow, viper’s bugloss, wild carrot, toadflax, birdsfoot trefoil and many more. Weeds are great but the range of flowers sown should attract a wider range of insects once established. We also hoed the bare area under the chestnut tree between the creek and the pond. Here we sowed flowers which bloom at night time (from Kew) and woodland flowers including foxgloves. Some of these are biennials, so we won’t see the benefit until next year. Here is the team from Saturday. On Wednesday, we were joined by Jimmy and Muhammed but we forgot to take a photo. R-L : Milly, Imelda, Fred and Julia. Sowing woodland wild flower seeds under the chestnut tree. You’re arrival is the signal of the hottest summers day. I asked him where he came from where he hailed from so to speak. Each bird flew by their own wind their flight paths quite unique. I said that’s true and I have always fancied ancient Rome. That by and large antiquity isn’t all it was cracked up to be. Please come along and help keep the park beautiful for all. Meetings are open to all and newcomers are always welcome. Volunteers are urgently needed to assist on planting, steering group, communications and activities. 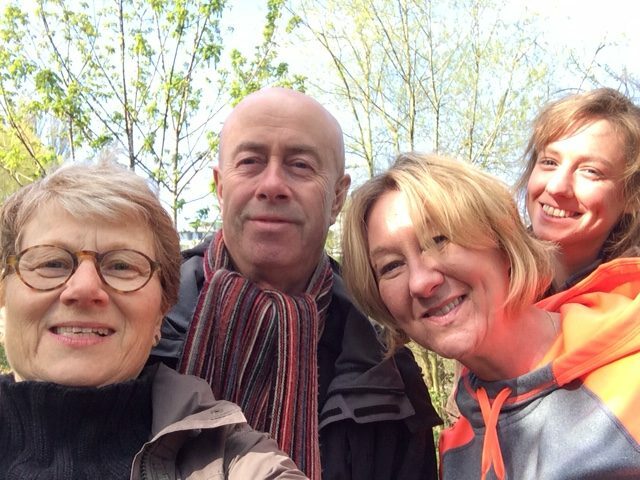 Help make a positive difference to your neighbourhood green space. Park maintenance is managed by Glendale. Bumble Bee boy was seen today,Thursday 22nd November,collecting bees in a plastic bottle.He had about 6-8 bees.I asked him what he was doing and he said he just liked collecting them and he would let them go later.He said he would not kill them.I pointed out that it was important that the bees were able to fly freely and pollinate the flowers.He had a bit of foliage in the bottle with the bees. 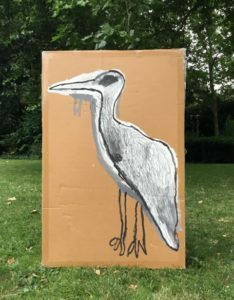 We are delighted to report a second grant has been awarded by Brockley Assembly for development of horticultural and creative activities in the park during 2019. This will support development of the park as a community resource for horticultural skills exchange, biodiversity improvement and art workshops. 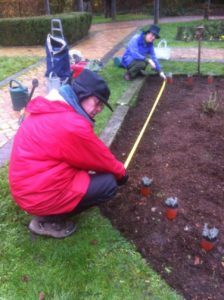 Roses will be renewed in two more beds courtesy of Glendale; wildflower seeds will be sown in the narrow strip beside the cycle track and a trial bed will be made for the Deptford Pink. Creative workshops led by local artists will happen in May and June. Sign up to the mailing list for regular updates or look out for notices on the park hut and around the park. 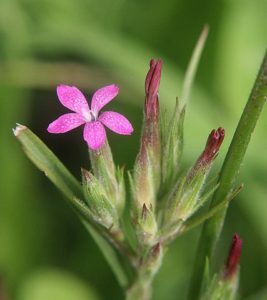 Images: Deptford Pink (Dianthus Armeria), Bernd Haynold Wikimedia Commons;Planting Group in Action; Heron, Redstart Arts.